Sony’s Xperia Z1 is still a highly desirable smartphone, but Sony isn’t resting on its laurels and is quickly developing the next flagship, the Xperia Z2 “Sirius,” which we might see as soon as Mobile World Congress at the end of this month. We already saw a quick walk-through of some of the user interface changes in a leaked video, and now we’re getting a closer look at the actual phone next to two of Sony’s other phones, including the Xperia Z1 and the Xperia Z. 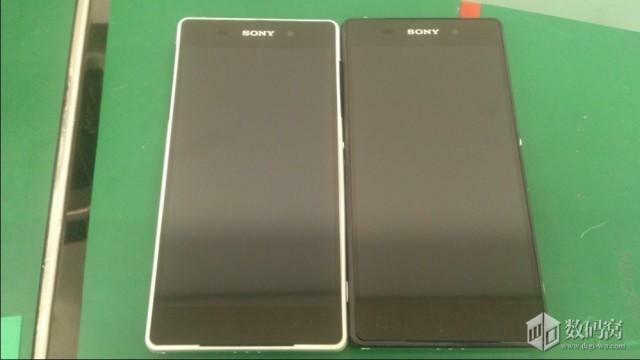 Compared to the Xperia Z1 and Xperia Z it looks like the Xperia Z2 (the white phone on the left) is slightly larger, and as UnwiredView suggests that may point to some truth in the rumors it will have a 5.2-inch screen. 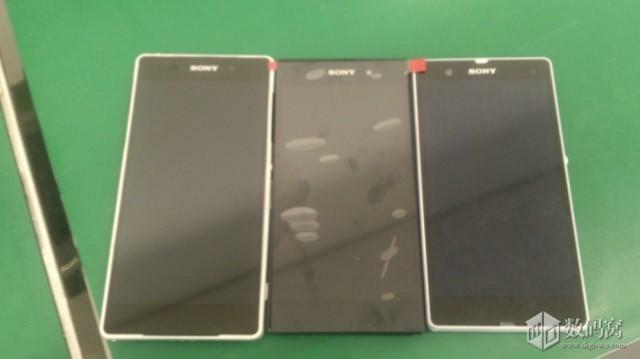 The edges look a bit more curved than the sharper drop-offs we saw on the Xperia Z and the Xperia Z1, but Sony has said it plans to stick with its existing design language so perhaps it’s just the angle we’re looking at the phone. There’s enough space on the bottom that it looks like we’ll have touch-sensitive controls below the screen instead of on-screen buttons. We don’t know much else about the phone, but UnwiredView suggests we should expect a 20-megapixel camera and Android 4.4 KitKat, with a small bump in RAM from 2GB to 3GB for a bit more speed. We’re guessing this phone will hit the market sometime this spring, perhaps just after Mobile World Congress if it does break cover there. We’ll be sure to bring you as much coverage on it as we can.